Are you looking for a friendly family dentist in York who cares about your smile? 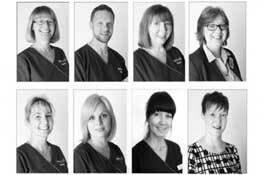 We are a small, private dental practice based in York, offering exceptional pain-free care in a comfortable, relaxed environment. Our dentists in York always aim to put you at ease and treat you mindfully to help make your visit as pleasant as possible. New patients are always welcome. Matthew, the dentist and practice owner, offers all aspects of professional, modern dental care in York, including the prevention and treatment of tooth decay and gum disease, general dentistry and dentures (false teeth). He can give you a brighter, whiter smile with teeth whitening, white fillings, veneers, crowns or a smile makeover. He can close up black triangles at the necks of the teeth with Bioclear Matrix. Matthew can provide orthodontics (braces) at the practice using fixed white brackets or clear aligners. He also works part time on the orthodontic department at York Hospital. He also offers treatments to help stop snoring and sleep apnoea, as well as treatments to prevent jaw pain and teeth grinding (bruxism). Matthew can also advise on dental implants. So contact us to arrange a check-up today and talk through your options with your York dentist. Rachel and Angela, our hygienists, work closely with Matthew to treat and prevent gum disease. 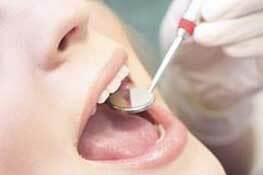 They also offer direct access hygienist treatments, meaning you don’t have to see a dentist first. So if you have bad breath, bleeding gums or gum disease, come and see us – we are here to help. We offer discounted fees for children, students, maternity leave, and for staff members of the York Hospital Trust. We also offer payment schemes including Denplan Essentials and Interest-free credit. If you need to see an emergency dentist and are not regiestered with us, emergency dental appointments are usually available during working hours. You do not have to be a millionaire to be able to afford the smile you always wanted, or maybe thought you could never have. We are able to offer most cosmetic treatments to enhance your smile, with procedures that are tested and proven. THEY will receive £15.00 off their First Appointment. Is there such a thing as pain-free dentistry? Yes there is. Using devices such as ‘The Wand‘, Air abrasion and minimally invasive dental techniques can help – click here to read an article about painless dentistry. How can I simply improve my smile? There are many things that we can do. Read about them here. My partner keeps me awake with their snoring. Is there anything I can do about it? Yes, Matthew can provide anti-snoring devices which help with both snoring and mild to moderate sleep apnoea. Read more here. 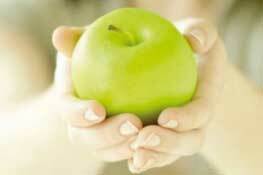 Use the Manor House Dental Practice App or go to our Facebook page for our latest offers. We are proud to be members of She & He Loves York. We offer 15% discount to She & He Loves York members. Click the logo to find out more. If you would like us to call you, please enter your details below, including your phone number.